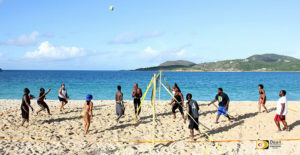 With no facility to play in since the passage of Hurricane Irma and the Multipurpose Sports Complex where matches were played still being used as a shelter for several of the territory’s residents whose homes have been destroyed and have been occupying the facility for the last five months, the Virgin Islands Volleyball Association has taken its game to Long Bay Beach, Beef Island. 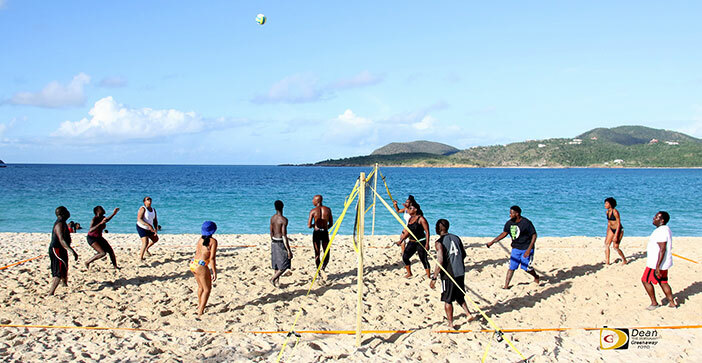 This time of the year, VIVA would be gearing up for its annual Men and Women’s Power Leagues. The passage of Hurricane Irma however, has drastically altered the association’s plans and focus. Willis Potter who began heading the association in late 2016, said because they’re displaced from the gym, they have erected two nets at Long Bay Beach, Beef Island on a permanent basis for everyone to play both on weekends and during the week. And players have been using the new arena, which has also been altered by Irma, leveling the once tilted surface. 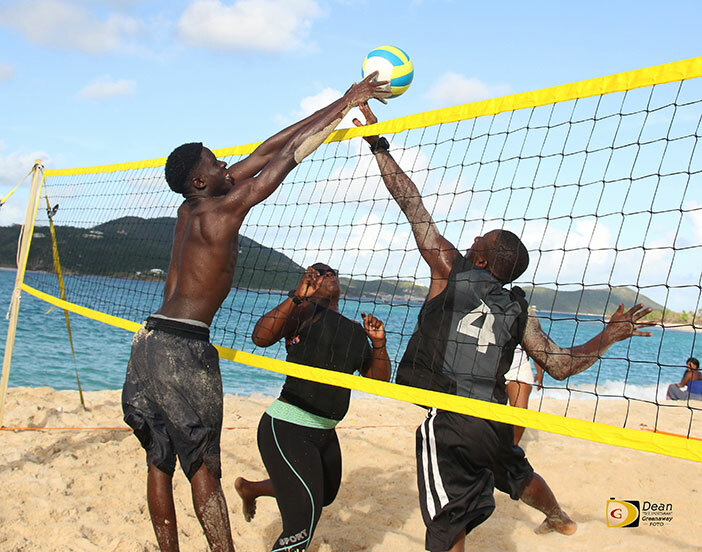 After first securing the surface and getting it installed, Potter said they can begin looking at having their Men and Women’s Power League in the fourth quarter of 2018, as they don’t want to compete with basketball, which traditionally is played during the summer. He’s not sure of the basketball league status, as a segment of the parquet court under the western basket has been compromised from water that settled on the courts during Irma and Maria. 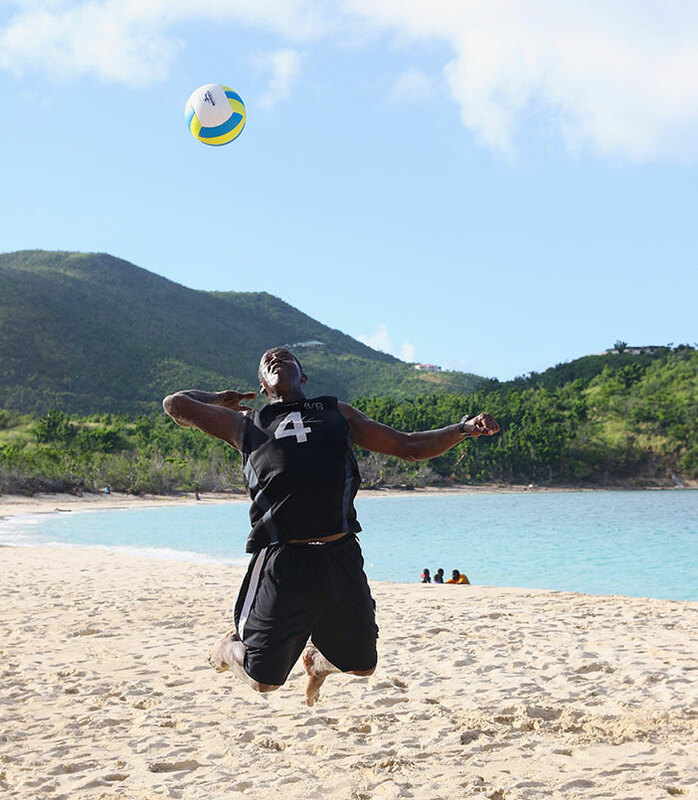 American and Caribbean Volleyball Confederation President, Cristobal Hoffiz. He also already spoken to Sports Minister Myron Walwyn and gotten approval to install the court at the Virgin Islands School of Technical Studies, so he’s allowing the process to take its course.